I was completely HONORED to be in selected in this TOP TEN HOT PICK from the CHA Mega Show in Anaheim, California last month. and ones that I do not take lightly. they needed to be both beautiful with meaning. 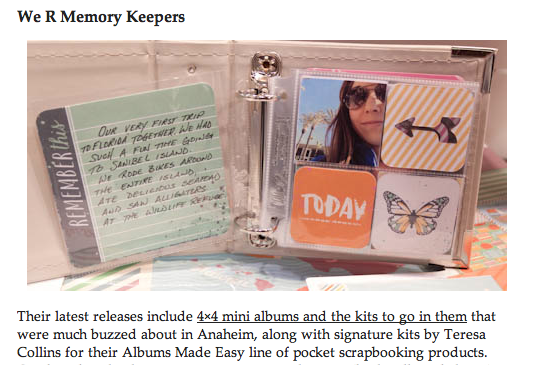 We R Memory Keepers if I could do GLITTER, DIE CUTS and TRANSPARENCY all in one card set. They made it happen. I am so in love with the end product! *more good things are in the works right now. Then I was listed again as my own TOP TEN.... WOW!!! I found this image quote and knew it was exactly how I feel. I got this cute photo on Monday of McKay. 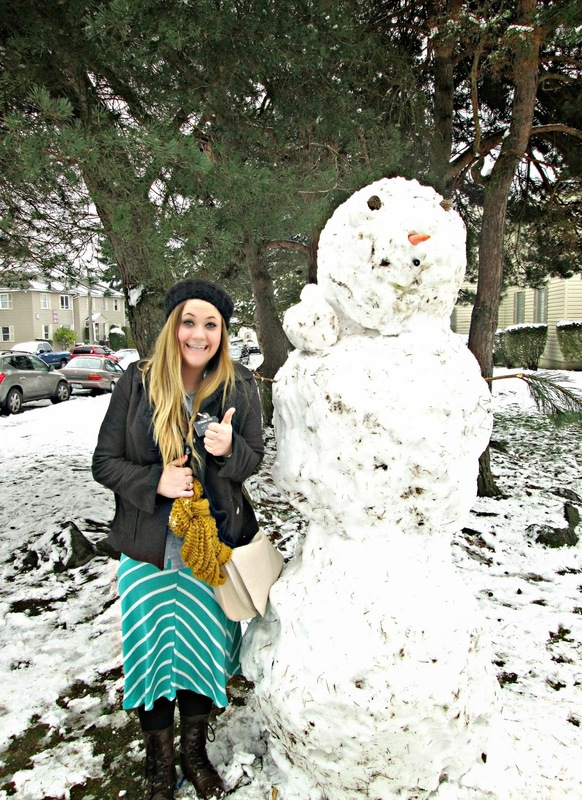 She is loving being a missionary. I am forever grateful for her "happy" example to me. crazy, large...brady bunch family & marry my husband. Congratulations, Teresa! It is much deserved. You make the most beautiful products, I just love your designs! It is so easy to make beautiful things with your fabulous products. You inspire me. Woo Hoo....well deserved!!! You are an amazing inspiration to us all! You are what we need more of in this world! So thankful for you and the messages you send out into the world!!! You are amazing! Love you girl! Well as far as I am concerned I'd be fine if you were the only name in the scrap booking world !! Haha ... A huge Congrats not only for doing so well in the paper crafting world but also for being such a good example of a Mom and wife !!! could not be happier for you. 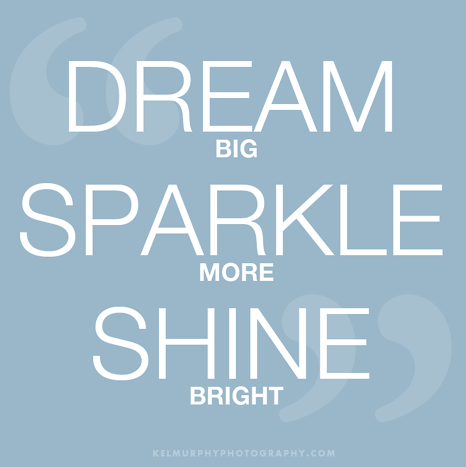 continued success and keep shining on. WTG--so amazing, but NOT surprising! :D Good things will continue for you, Teresa, I feel it! Congratulations!! I just LOVE all of your stuff :) Your new blog looks great! Congratulations to you!!! Love to watch you on MCC!!! Awesome, congrats! I love your stuff! Your products are just lovely! I wasn't very familier with your stuff until recently... But i LOVE, LOVE, LOVE what i see... Please keep sharing your wonderful ideas and creativity with us!!!!! Love Love LOVE your stuff! Have recently fell in love with it all! Thanks for the chance to win your generous giveaway via the Craft Channel blog. Luv your new blog! Such inspiration! Congrats on the top pick! And thanks for the great giveaway over at My Craft Channel. Awesome new blog! Was so excited getting to take a class from you in Virginia last year! You are a sweet person! Congratulations!! Your work is amazing! congrats!! i want one of those 4 x 4 albums. they are darling! Love the new blog! So clean and elegant, yet trendy! I love this way of scrapbooking! Can't wait to get my hands on some of this! I love your scrapbook lines. Congratulations on the CHA picks - good for you! Congrats on the new blog! -Traci S.
Congratulations on the new blog...it looks great! Thanks for the awesome giveaway! great new blog. Super giveaway. Congratulations! You deserve it, your craft items are gorgeous! Amazing giveaway! Your new blog is beautiful! The new blog looks great!! And what an amazing giveaway!! So thrilled for you and your success and you getting recognition you so deserve. SO happy for you and all of your success! I have subscribed! Love the new blog. I am subscribed. I love the new blog especially because I can subscribe. I often got behind on your other posts because I would forget to check it daily. Now it get it right in my inbox! Yay! Also the gold is just perfect! I have always loved your classic, beautiful style and can't wait to get my hands on some of the new CHA releases! What a great giveaway! I have subscribed to your new blog! Congrats on your new blog and your CHA top picks!! What a great giveaway! I have subbied! such a wonderful giveaway - love all your products - thanks so much for a chance to win!! I am excited to see all of your creative projects! I liked your facebook page and have started following your Blog! thanks for all the inspiration! I started following you a week or two ago when you announced! I follow you wherever you go! Love everything you do!! And thanks for all you do! And I know you would love to spend more time with your family, so I appreciate and am flabbergasted at all you accomplish! Thank you for the chance to win great product, and I subscribed to your new blog. Thank you so much Teresa! So glad I once had the chance to meet you and be inspired by you. I do follow your blog and all of your beautiful life and creations. Thanks for the chance to win. New blog looks awesome. I am subscribed foe emails. Thank you or the chance to win. I am ow a subscriber to your new blog. Love everything you do, and all that you represent as a person! I subscribed right away! Congratulations on all your successes, they are well deserved. I subscribed...thought I already did that, but I guess not. Well I fixed it today! Love the look of the blog and I love TC products! Have been a huge fan of your designs for a long time, and I LOVE your new blog design. Just subscribed too. So happy to subscribe to your blog! I subscribed and what a wonderful line of products to win. I love this new blog and all of your stuff!!! I follow on Bloglovin'! Oh - and I subscribed to your new blog, too! Congratulations and thanks for a great giveaway! I just subscribed to your new blog! Teresa you know I LOVE you and all of your products!!!!! Every line is more beautiful than ever and albums made easy is just fabulous! Looking forward to seeing you at the next class in LA!!!!! You rock!!! Thank you for sharing your amazing talent and sweet spirit! I just subscribed to your new blog. Thanks for the giveaway. I'm a follower and I'm not surprised that you're a HOT PICK!!! Congrats to you! Just subscribed, don't want to miss a thing! Congrats and good luck to everyone! I am not sure if my comment went through or not. I don't see it! Here's another try. Congrats! You are definitely Top Ten. You are my Top Five. Love Love Love all of your work. Love the new blog. Subscribed! Love it! Definitely loved all your new releases at CHA! I'm already a fb liker and now i'm a pinterest follower! keep up the good work! I've been subscribed! :) Thank you for a chance to win! I have subscribed to your NEW blog. Ready, Set, GO!!! All subscribed. I've always loved your designs and am thankful you keep creating more new products for us to create with. Congrats on the blog!!!! Love your products and I see you have some of my favorite companies as partners. Thanks for the giveaway also. I love the elegant simplicity of the new blog, and yes I have subscribed! I love to craft with paper! I hope I win! 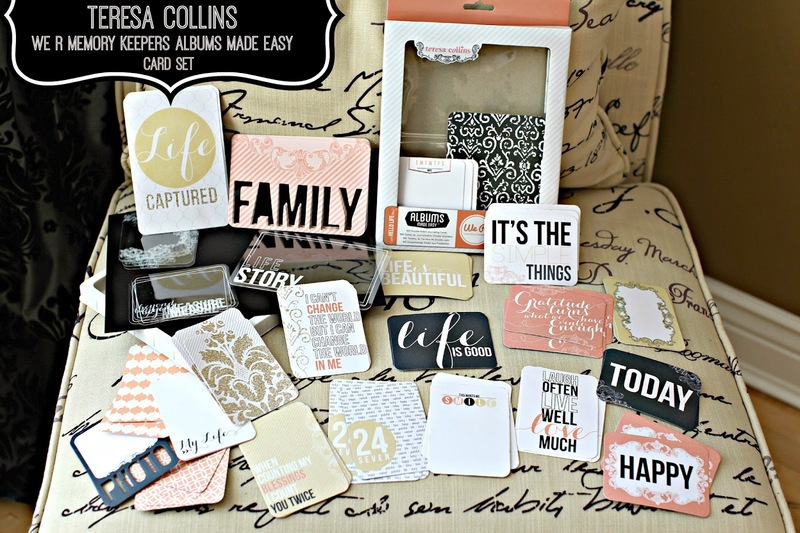 Enjoyed your blog and The Greatgiveaway is just Awesome, I am a crafter of many years and new to the scrapbooking craft and I am learning so much from these blogs. Love your blog and love your style. Thanks for everything!! Love what you do & have subscribed to the new blog! I enjoy your products and your new blog is great. I have loved your paper for a long time and made your gratitude journal last year. I am looking forward to making your Christmas album (a kit from Archivers). I enjoy watching your videos on the craft channel and some I watch more than once. I am so glad you show a lot of your finished projects with photos on them. I am not one bit surprised by your news. Love your collections. I have subscribed. I love your new blog....it suits you perfectly. Thanks for the chance to win this great giveaway! So excited!!! Fracking love your stuff. Awesome. Subscribed and thanks for the opportunity to win! Love the new blog! It was so easy to subscribe. Now I won't miss anything. I have just subscribe to your blog. Love your designs. Teresa Collins you are truly blessed. Thank you for the joy you bring to us all. Love your blog! Of course I'll follow you to new one-- hope I do it right!